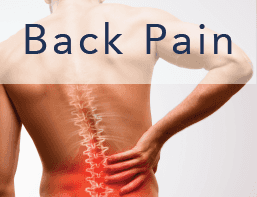 We specialize in the treatment of chronic pain and sports injuries. If you don’t see your condition listed, please call us at 315-935-5700. We are international leaders in the field. Odds are we can help you. Many professional athletes get routine treatments to maintain peak performance and reduce the risk of injuries. I'm an athlete. I feel pretty good. Can you still help me? Acupuncture & Dry Needling may increase strength and flexibility, correct muscle imbalances, improve millisecond reaction time and generally improve the adaptability of the body. 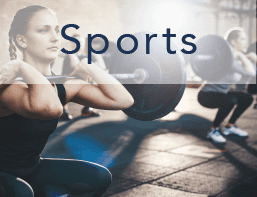 Many professional athletes get routine treatments to maintain peak performance and reduce the risk of injury. We will check the stability and range of motion of your joints, strength of key muscles and ability to perform functional movement patterns. Limitations in any of these areas are often due to muscles that are weak or otherwise not firing properly. This may be due to an old injury, overtraining or other stimuli that can cause a muscle to become tight or shut down. With sports therapies, we can “reset” these muscles. This can help restore strength, range of motion and maximize your body’s ability to recover and function. 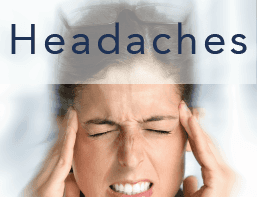 The short answer is “No.” Most acupuncturists are general practitioners – meaning that they treat a little bit of everything, sort of like family doctors. We are more like specialists. Our clinic focuses entirely on treating pain, and improving musculoskeletal function and sports performance. By deeply focusing on one area, we believe that we can give you the best care possible. Another thing to keep in mind is that here are many systems of acupuncture. Traditional Chinese Medicine. Five Element. Dr. Tan. Master Tung. Korean. Japanese. TCM. The list goes on. Not everyone uses all of these styles. 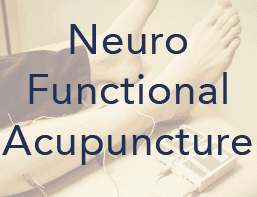 At Orthopedic & Sports Acupuncture, we focus on neurofunctional acupuncture and dry needling – MODERN, science-based styles – which we’ve found are the BEST for treating most pain and sports injuries. How is Orthopedic Acupuncture Different? Most traditional acupuncture styles focus on needling along channels, organ lines, and other structures described by traditional Eastern philosophy. The goal is usually balancing the body, improving organ function, etc. This traditional approach is often combined with herbal medicine and works well for many chronic internal conditions. 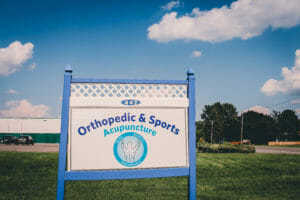 Orthopedic Acupuncture, on the other hand, focuses directly on improving the function of the body’s muscles and joints. 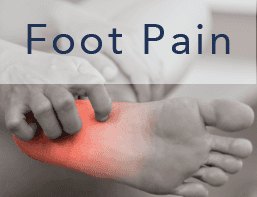 This is the best approach for treating sports and work related injuries, “wear-and-tear,” and many other painful conditions. Many orthopedic acupuncture techniques are based on modern scientific research. Orthopedic Acupuncture also borrows techniques from traditional Asian martial arts medicine. Yes. We proudly serve our vets in the Central New York area. Contact your primary care provider at the VA and request a referral for acupuncture. Absolutely! 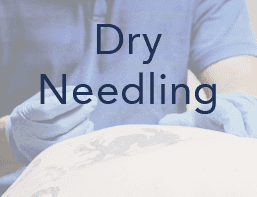 We specialize in Dry Needling and other orthopedic acupuncture techniques. 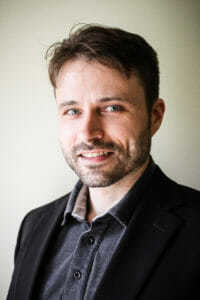 Matthew is a leading advocate for the use of Dry Needling by acupuncturists. He regularly teaches courses in Dry Needling and sports / orthopedic acupuncture to students from all over North America and Europe. Do you ever reuse the needles? NEVER! Once a needle has been used once, it’s done. It goes into a biohazard container and is disposed of. New packages of needles are opened for each patient. No. All you need to do is call the office and set up an appointment. It’s that simple. The one exception is for veterans who are getting care through the VA. If you’re a VA patient, you will need to talk to your doctor at the VA and have them fax us an authorization. That depends on your condition. If you are young and coming in for a minor injury or mobility issues, you will probably see major improvement in 3-6 treatments. However, more chronic cases may take 8-12 visits. It is best to wear comfortable, loose fitting clothing. If you are coming in for knee pain or another condition affecting the lower part of your body, it is a good idea to bring shorts with you. If you are coming in for something in your upper body, bring a tank top so that we can get to your shoulders and upper back. Avoid wearing strong smelling cologne or perfume because some of our patients have allergies and fragrances can trigger their allergies. I usually recommend that patients apply heat to the areas where we work. You may have a slight ache after treatment that feels similar to post workout soreness. This soreness is usually lessened by applying heat or taking a warm bath to keep the muscle loose and increase blood flow. Usually, I recommend either rest or light to moderate physical activity following treatment. Results. We specialize in treating pain, and improving musculoskeletal function, range of motion and sports performance. We successfully treat patients of all ages and skill levels, from professional athletes to weekend warriors; children to great-grandparents; office workers to law enforcement and members of the military. We combine modern, science based acupuncture techniques, like dry needling, with orthopedic and manual muscle testing and soft tissue techniques. This lets us tailor your treatment specifically to you. Above all, everything we do is driven toward helping you reach your health goals. I have been a lifelong athlete, and you get used to being in pain and being sore. 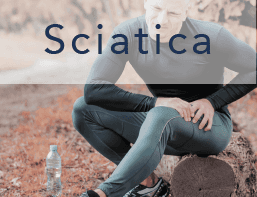 After my first visit, I was amazed that my chronic hip pain and tightness was dramatically reduced. I love the results, lasting pain reduction and increased performance right away! Don’t let the term “needle” distract you, it doesn’t hurt, a very small acupuncture technique is used. Cannot recommend highly enough. Great place! Call Us Right Now at 315-935-5700 to Schedule Your First Appointment. Matthew Reed, MS, L.Ac. Dipl. Ac. As a long-time athlete and landscaper, I knew what I wanted to specialize in before I ever even applied to graduate school. I knew that I wanted to help people improve their performance and live healthy, active lives without pain. This led me to seek out the best continuing education sources that I could find and spend countless hours pouring over the scientific literature on orthopedic acupuncture while I was still a student at New York Chiropractic College. The goal was to hit the ground running, already specialized. My studies and many teachers led me to blend trigger point dry needling with neurofunctional acupuncture. 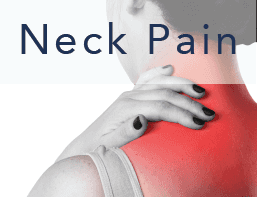 I have found that this approach produces the best results for treating most types of pain and restoring musculoskeletal function. 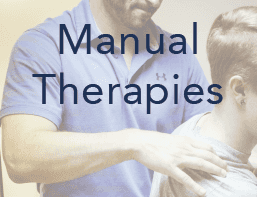 I have used this integrated style to successfully treat patients of all ages and walks of life, from children to grandparents, office workers, weekend warriors to high-level strength athletes and members of the AHL and NHL. I am very grateful for everything I have learned, but believe that it is too important not to share. So, in 2015, I co-founded Chinese Medicine That Works, Ltd. to offer classes in the most up-to-date, evidence-based treatment and herbal techniques available. Our courses regularly draw professionals from all over North America and Western Europe, as well as Israel, South Africa and Australia. I currently teach Dry Needling, Advanced Orthopedic Needling and Physical Assessment through CMTW. I also have the honor of assisting my teacher, Dr. Anthony Lombardi in his US workshops. When I am not teaching or practicing, I enjoy CrossFit, running, hiking and kayaking.